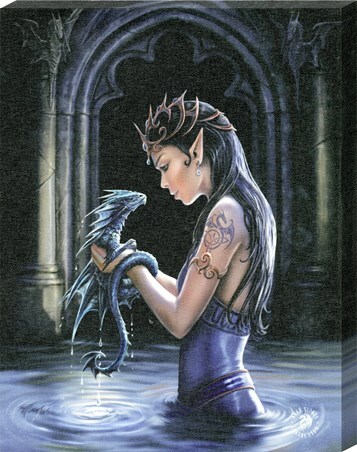 Art Canvas Print: Standing waist deep in the rippling water, a young pixie stares into the eyes of her dragon as they connect on a higher level. 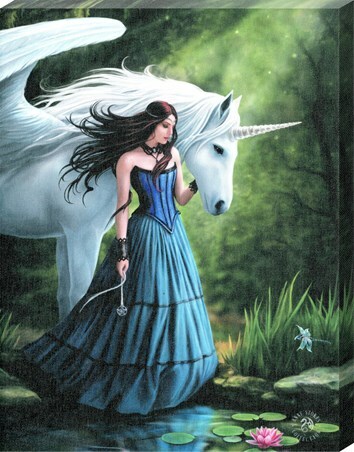 Her dark hair cascades down her back as her bronzed headpiece softens her features in this stunning portrait of a girl and her best friend. 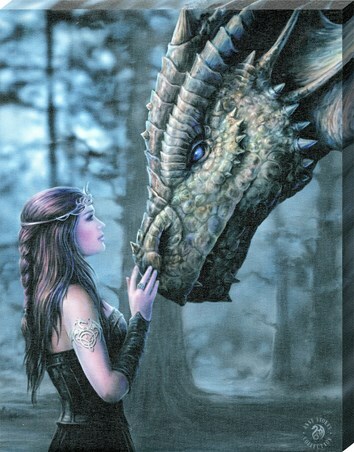 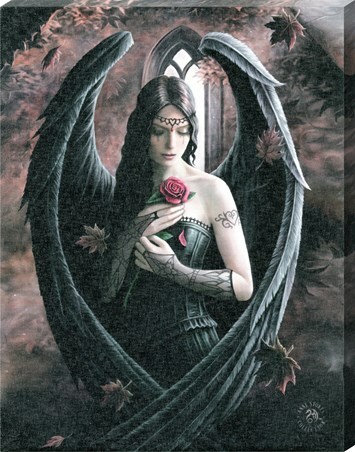 Created by the fantasy artist Anne Stokes, this enchanting piece of art work is sure to satisfy the imagination of dragon lovers of all ages as the little creature folds his wings down across his back and awaits the instruction of his master. 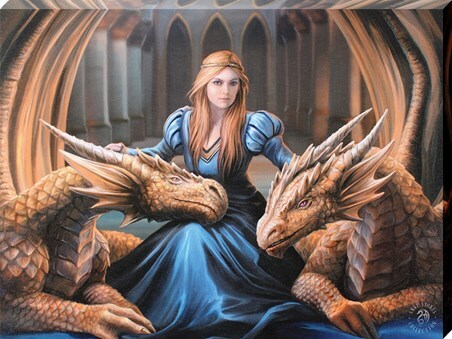 High quality, framed Water Dragon Canvas Print, Anne Stokes canvas print with a bespoke frame by our custom framing service.